Free printable worksheet on number 20 for preschool kids are perfect for learning numbers. Enjoy the preschool number worksheets that help the kids to recognize number. Practice writing number 20 by tracing the number carefully and then learn to write number 20. Kids can count and see there are 20 objects. Preschoolers and homeschoolers can practice these printable preschool worksheets on numbers to make the kids handwriting perfect. Parents and teachers can take the printouts of these worksheets on numbers and help the kids to practice these worksheets which are absolutely free. These worksheets can be access by anyone from anywhere. 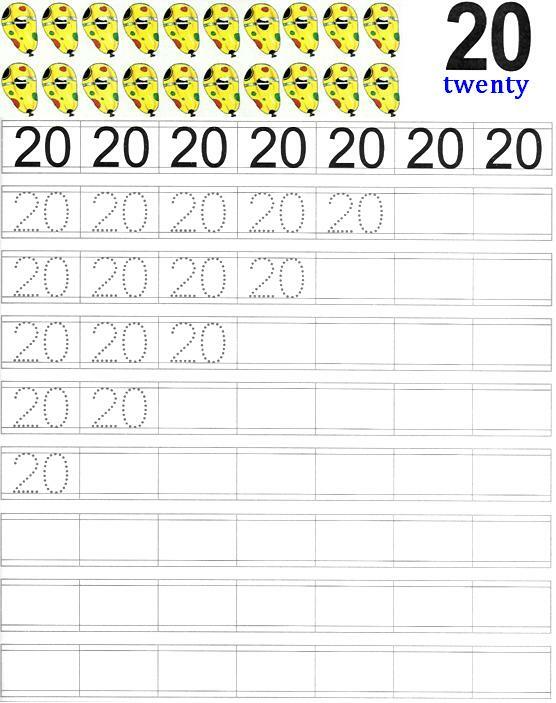 After practicing this worksheet kids can learn to write number 20 on their own.